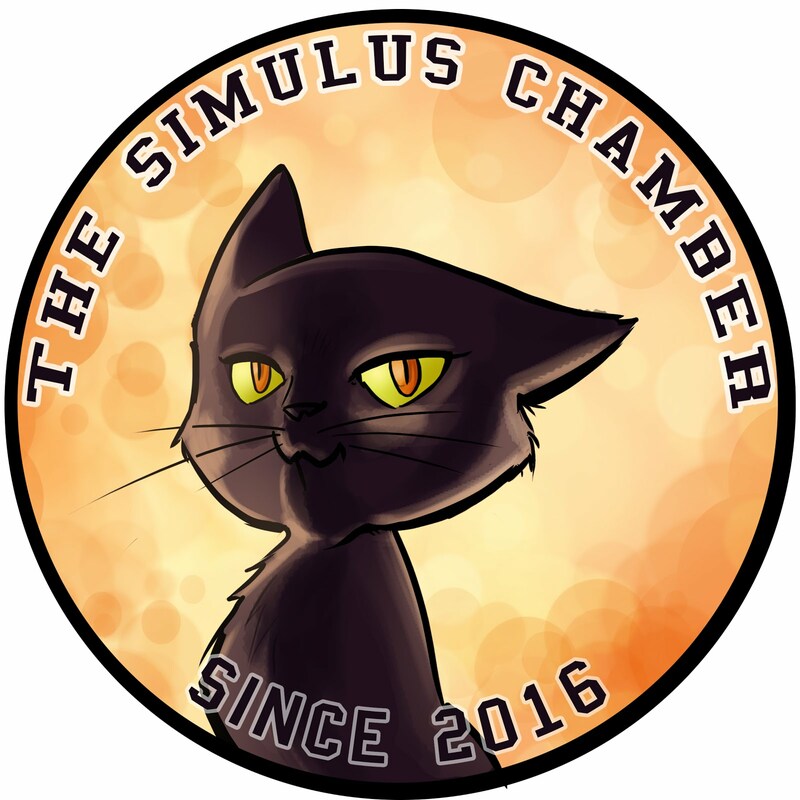 a malevolent scar in the centre of the vast Desert of Bones." 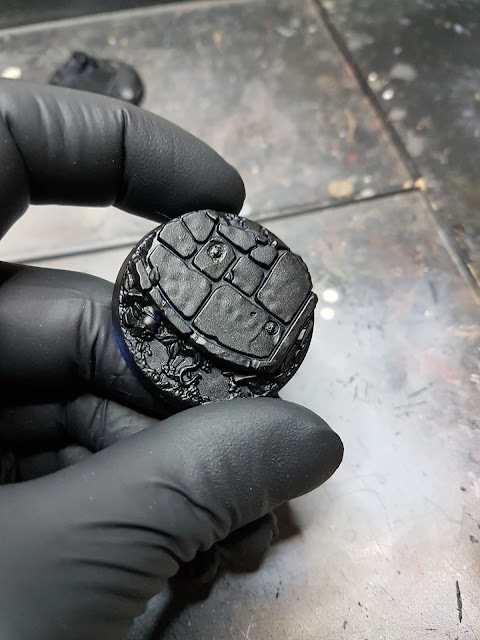 Hi there, and good morning! 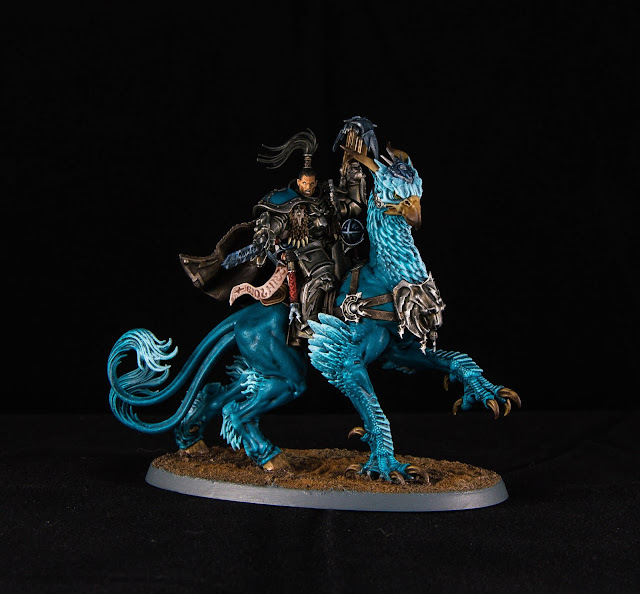 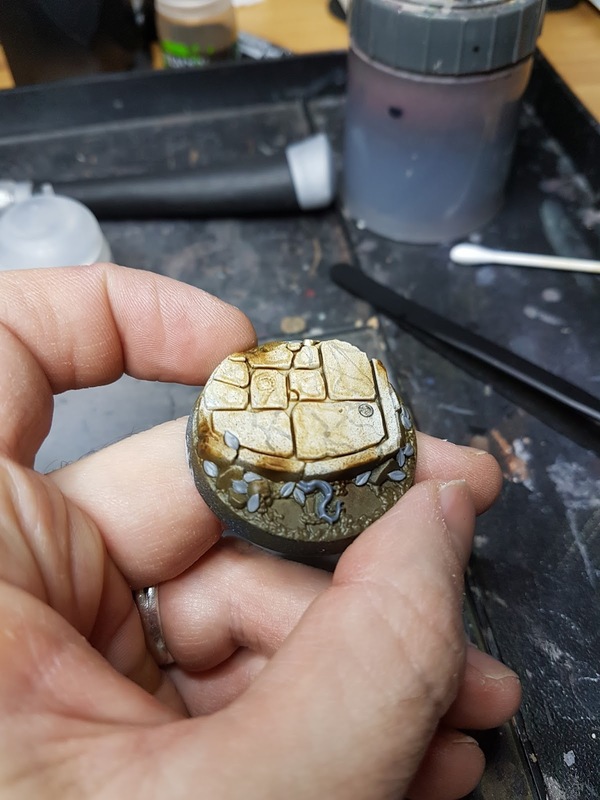 Finally, after years of painting, an Airbrush made landfall on my shores. 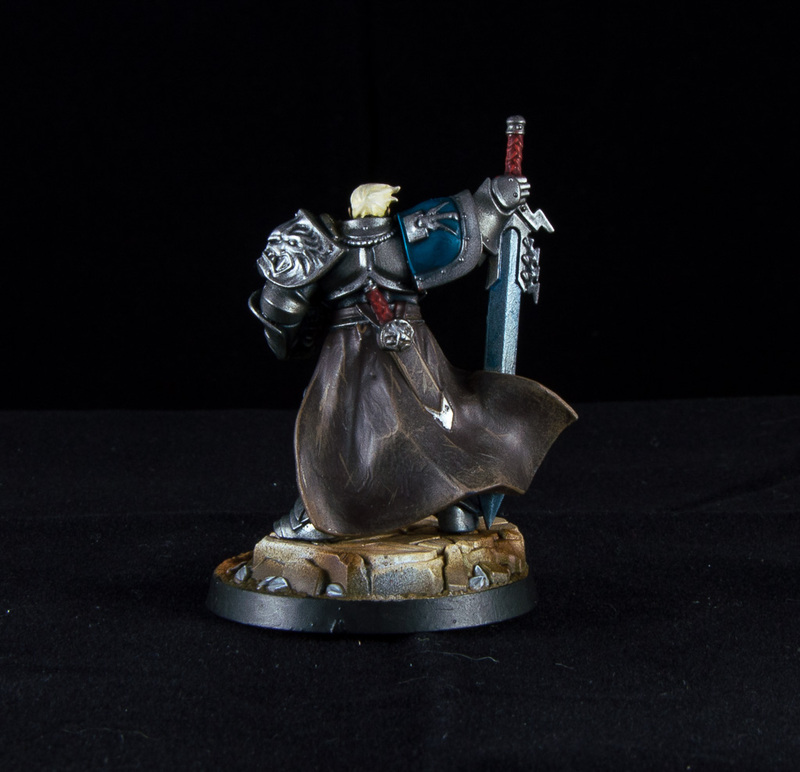 Ok, this is not entirely exact: two Airbrushes have landed on my desk... the first one, a beautiful single action Badger, survived just long enough to make around forty models and then it was sacrificed on the Altar of Learning. 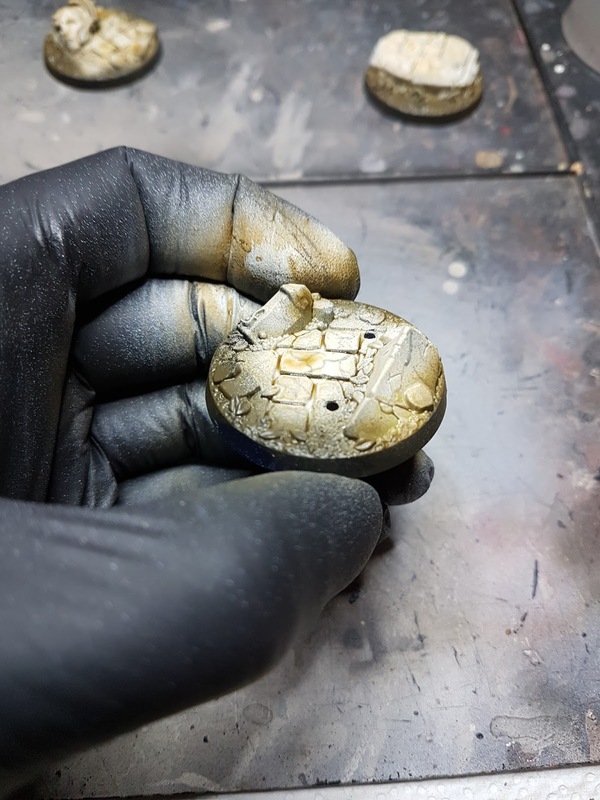 I've nearly destroyed it in the process of really understanding how an Airbrush works; but no problem, a lot of spare parts are coming (although they are taking too long to arrive), so I hope I'll be able to save it from the edge of oblivion. The second one is an awful, but double action, Fengda, paid around 20 euros (!!! 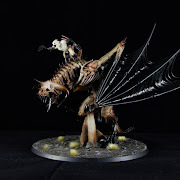 ), that made my whole Flesh Eaters Courts army thanks to the sacrifice of his predecessor. 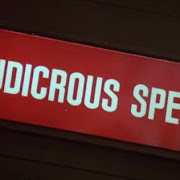 And, double action is awesome. 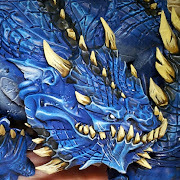 Now I'm planning to buy an Iwata and use these three pens to improve my airbrushing skills. 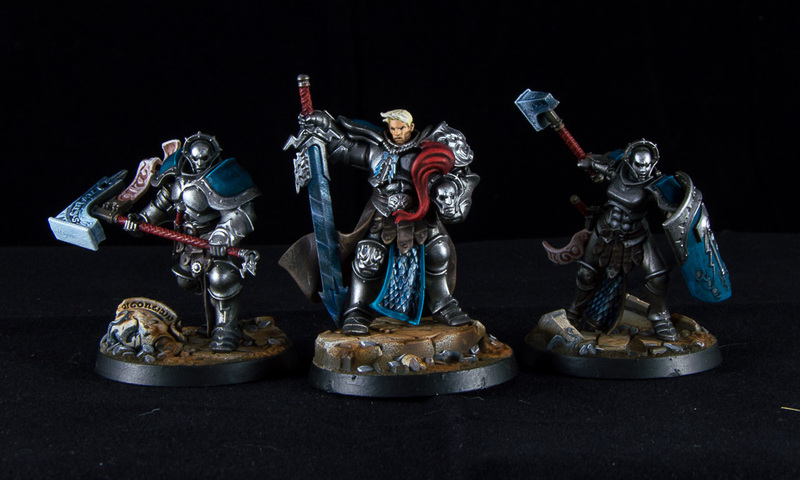 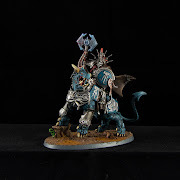 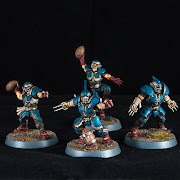 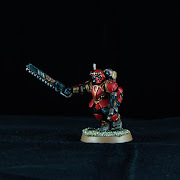 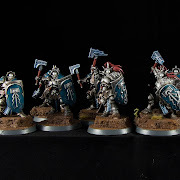 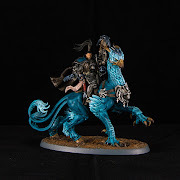 Another example of models made with my double action Fengda is my Shadespire Stormcast lot, in particular their bases. 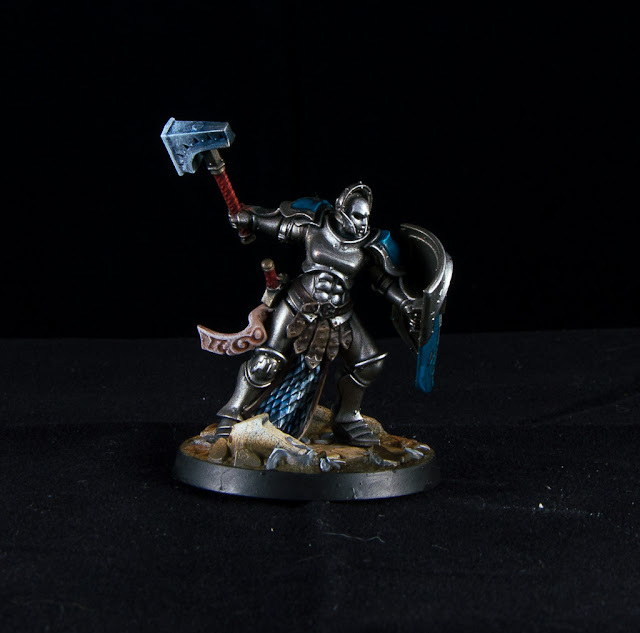 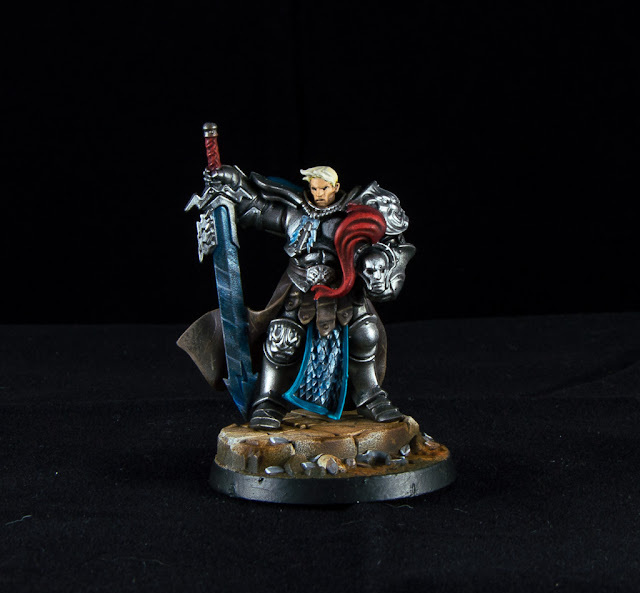 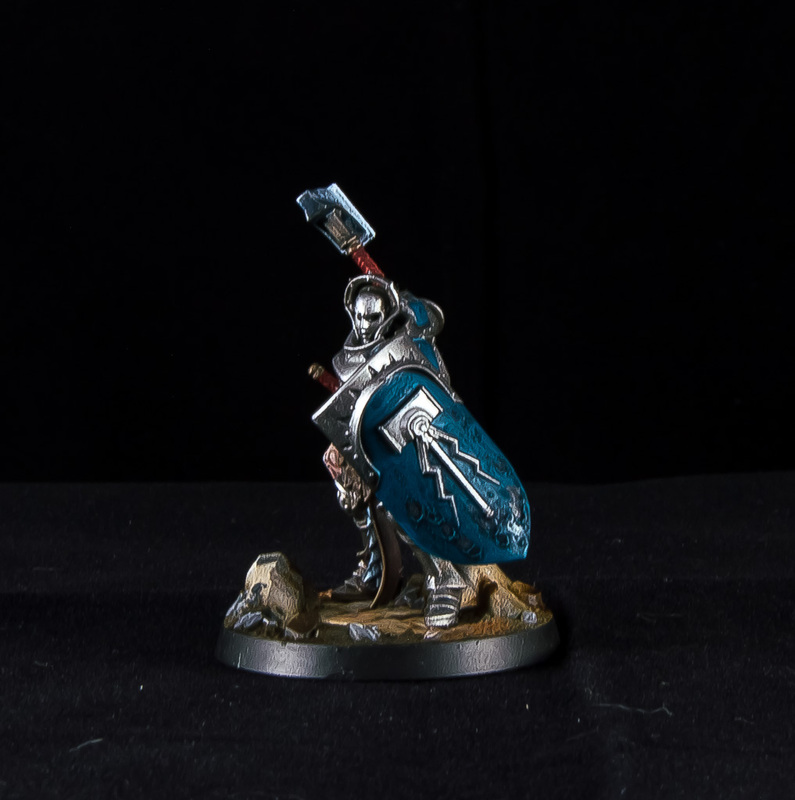 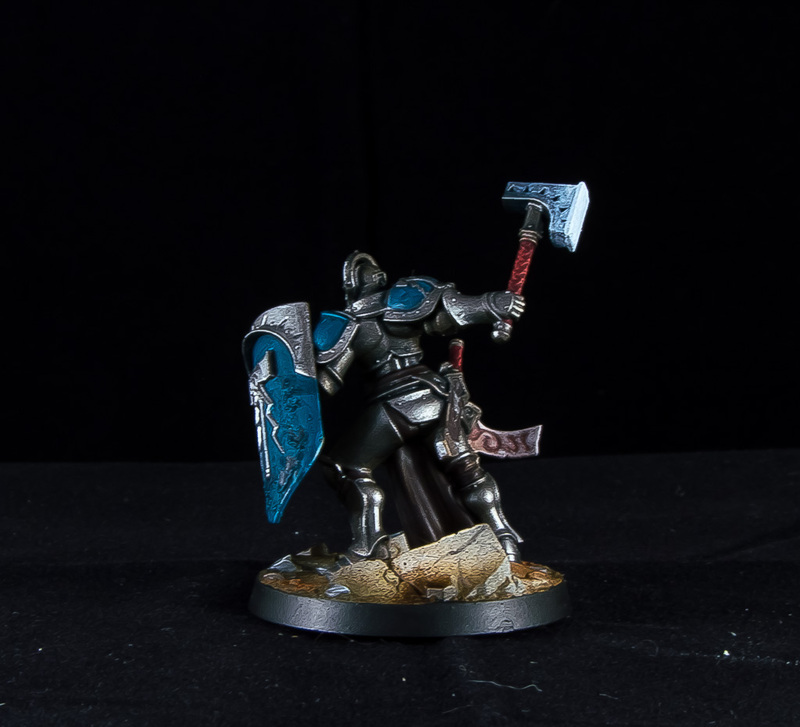 Stormcasts armour and weapons have been made in the classic Guardians of the Ages way, but bases reflect the gloom of the Mirrored City. 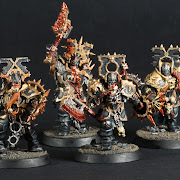 Firstly I primed them with Chaos Black spray. 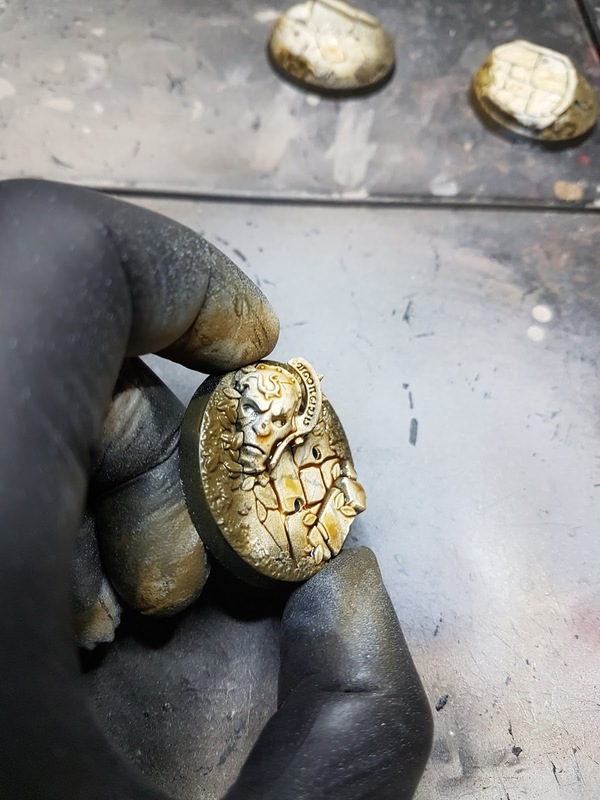 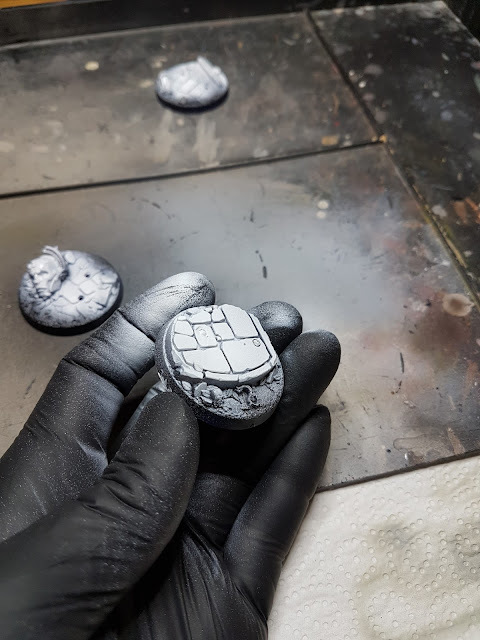 Then I added tiny strokes with Nuln Oil, to replicate marble's veins. 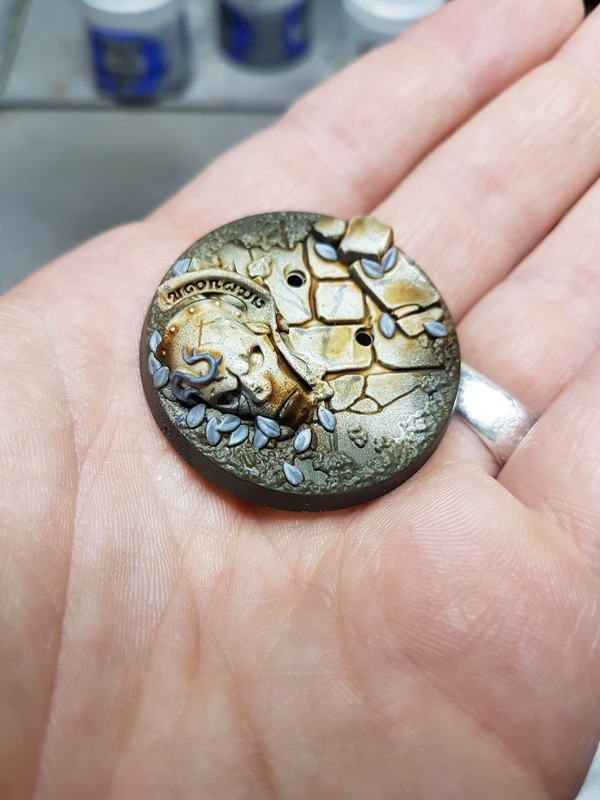 I washed all over with Seraphim Sepia (slightly diluted with Forge World Medium and water) always airbrushing and to make more movement I sprayed just air from right to left before the mixture was fully dry. 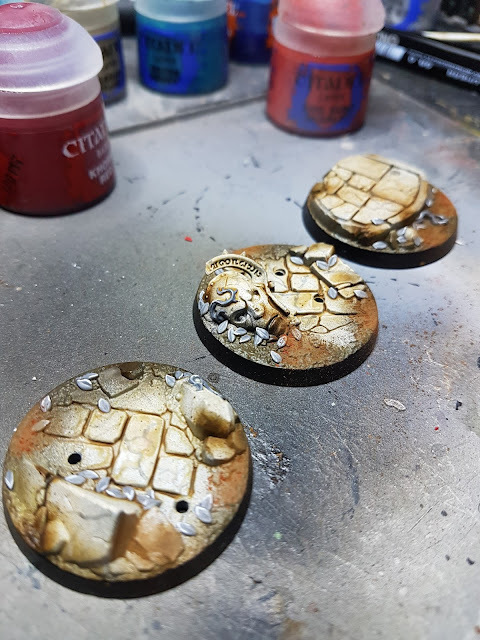 I sprayed all the other parts of the bases with Vallejo Olive Drab. 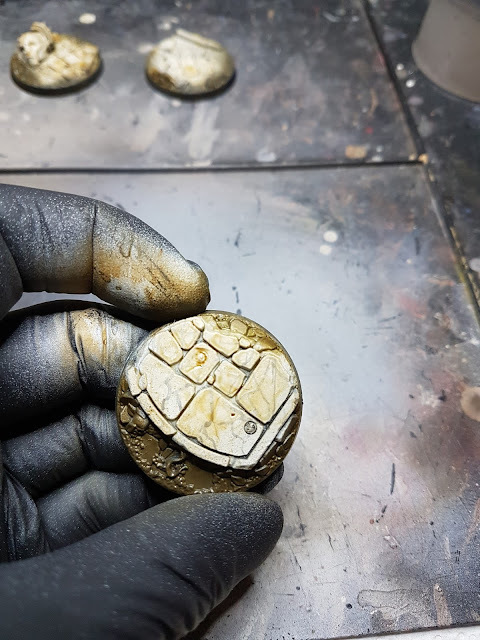 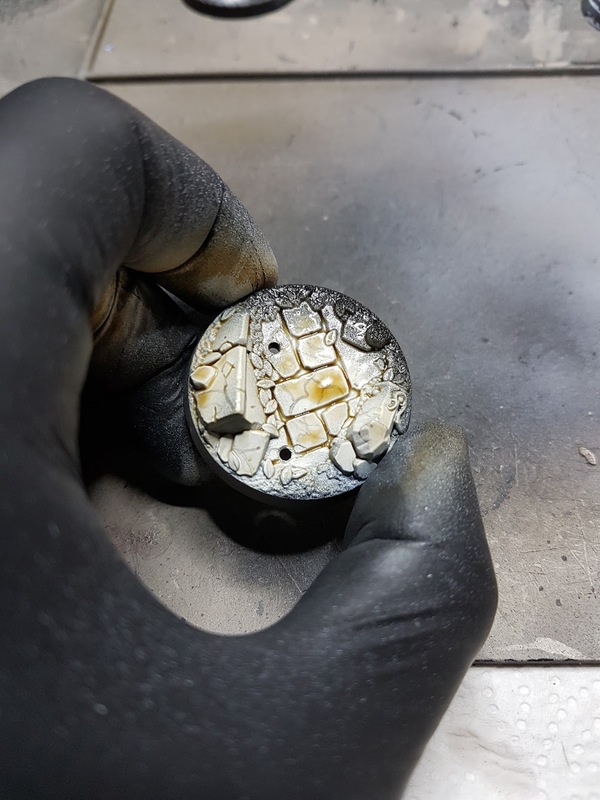 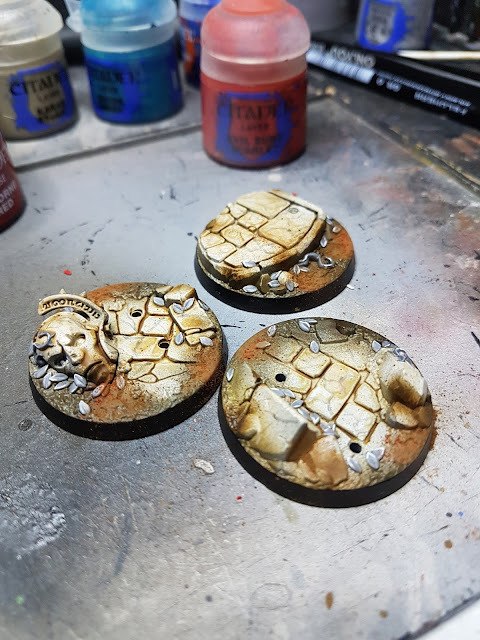 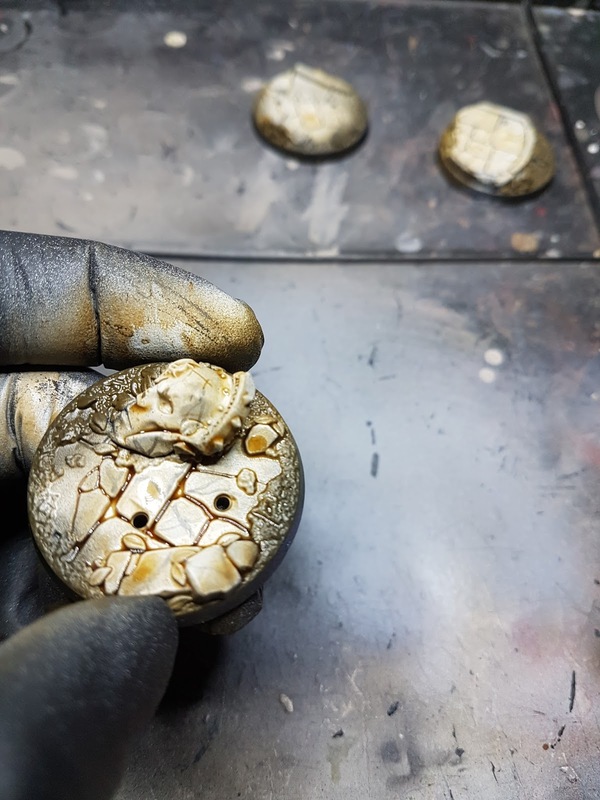 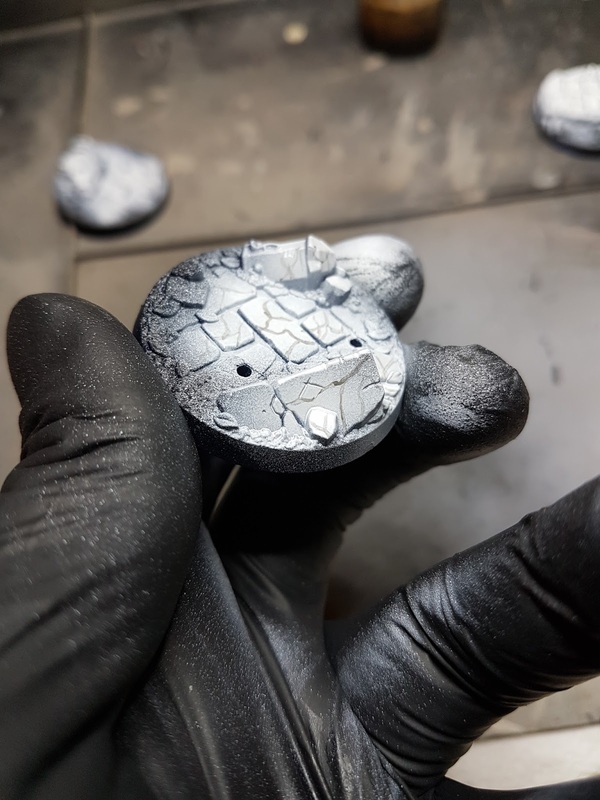 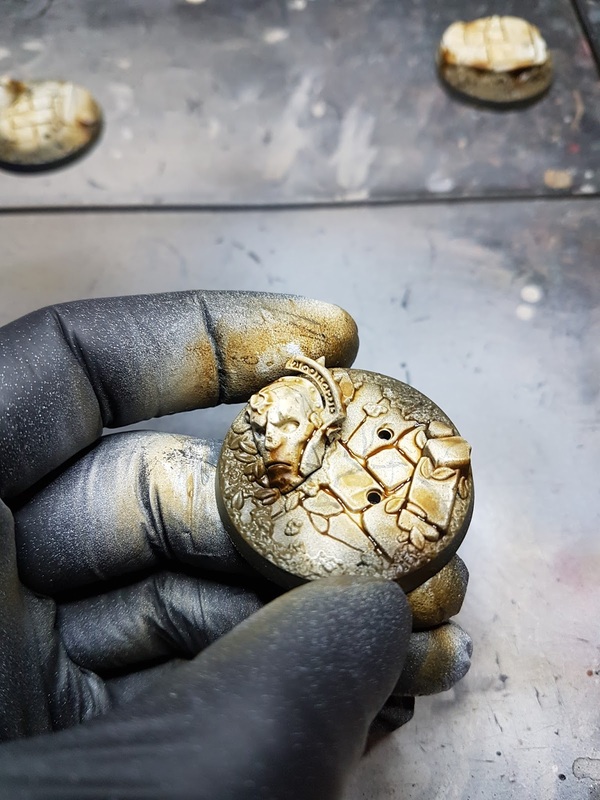 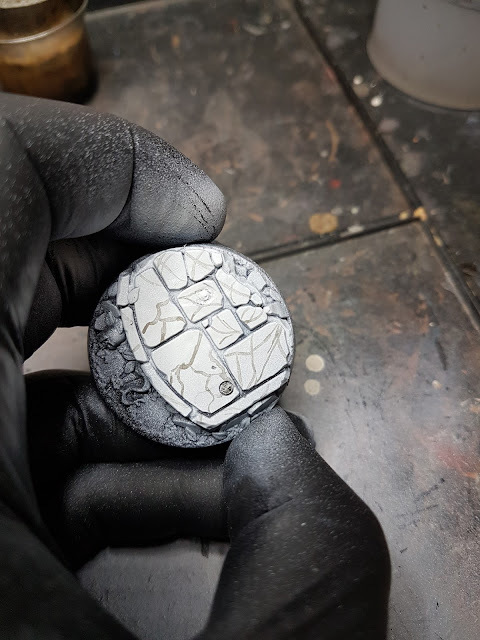 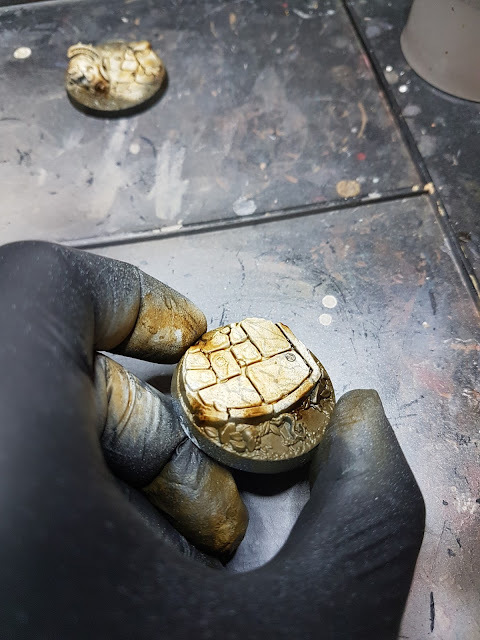 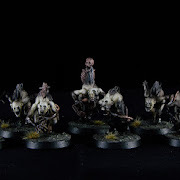 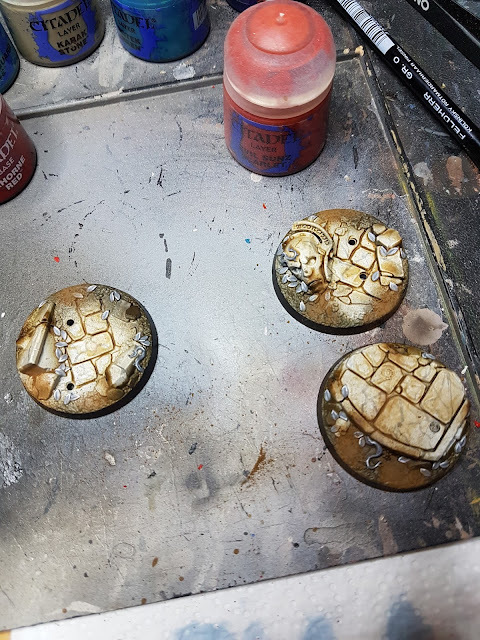 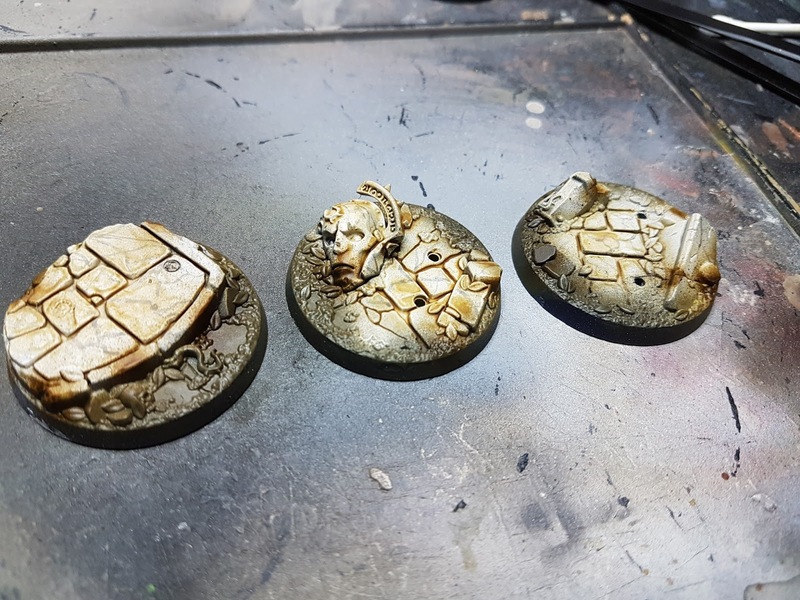 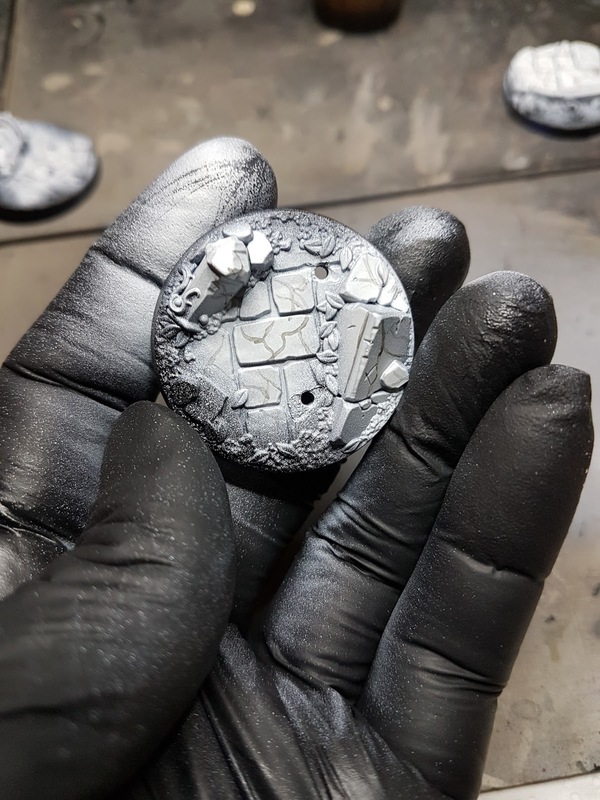 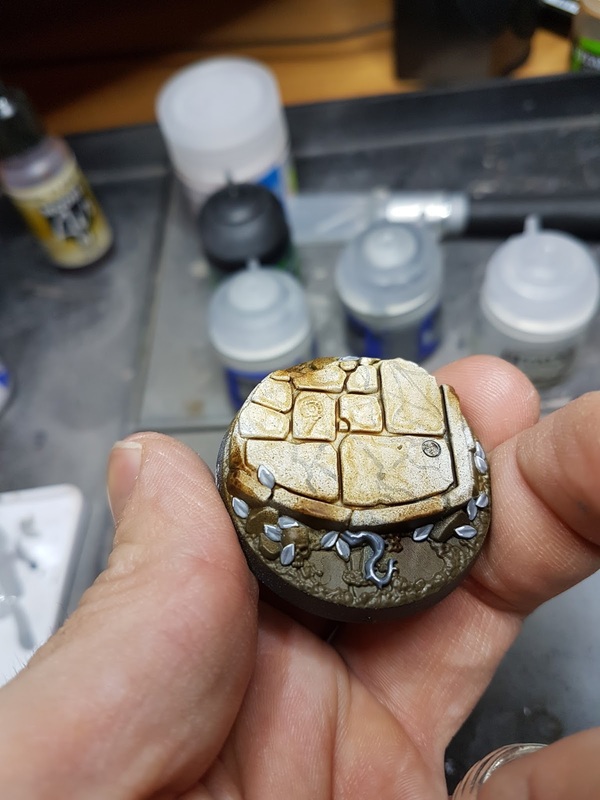 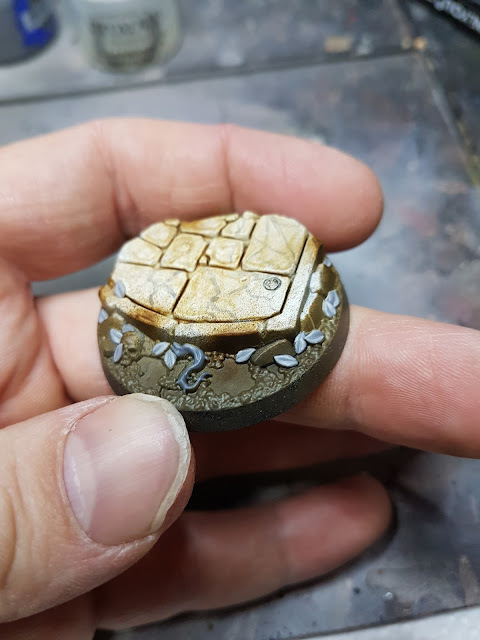 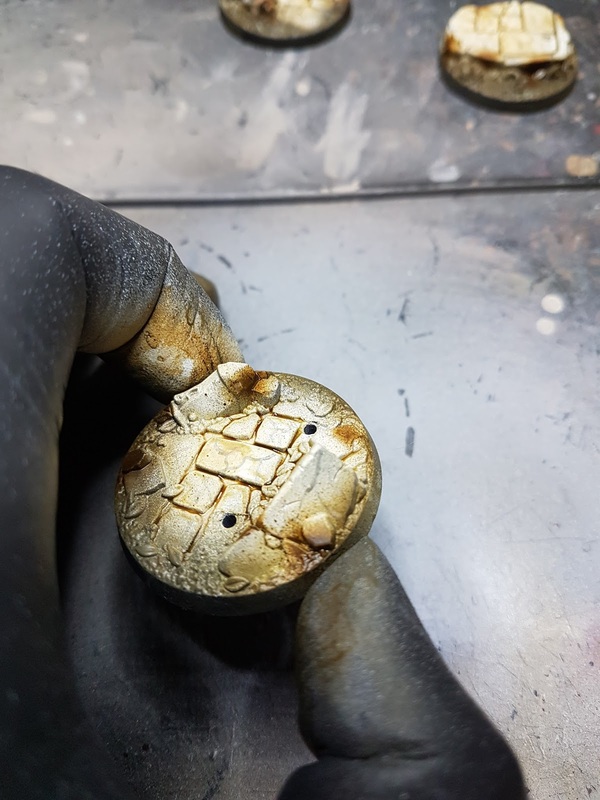 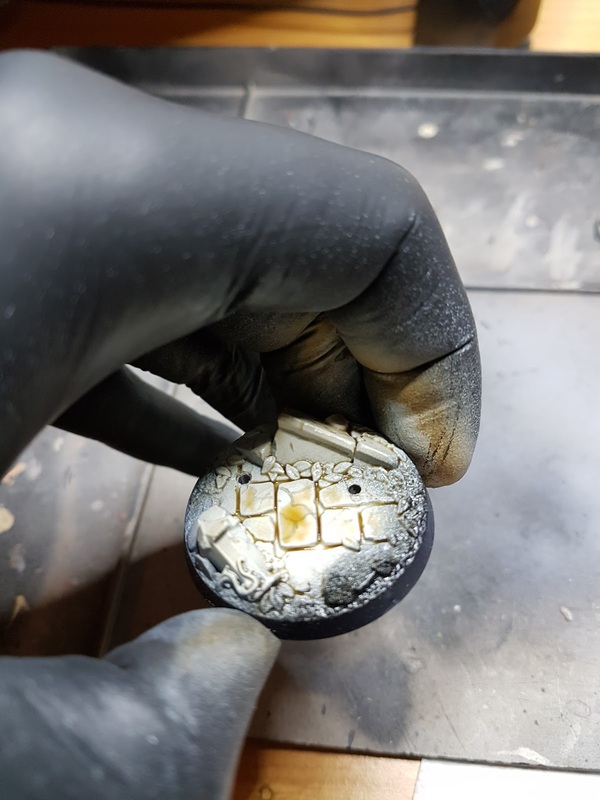 To finish the job I painted creepers and leaves with a classic layer-highlight technique using: Mechanicus Grey, Dawnstone and Administratum Grey, adding a final touch of White Scar. 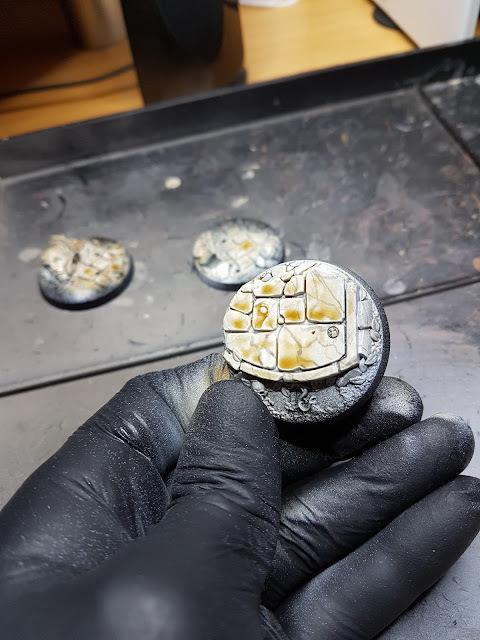 I added pigments too (Forge World Black Soot and Dry Mud) to enhance the sensation of depth. 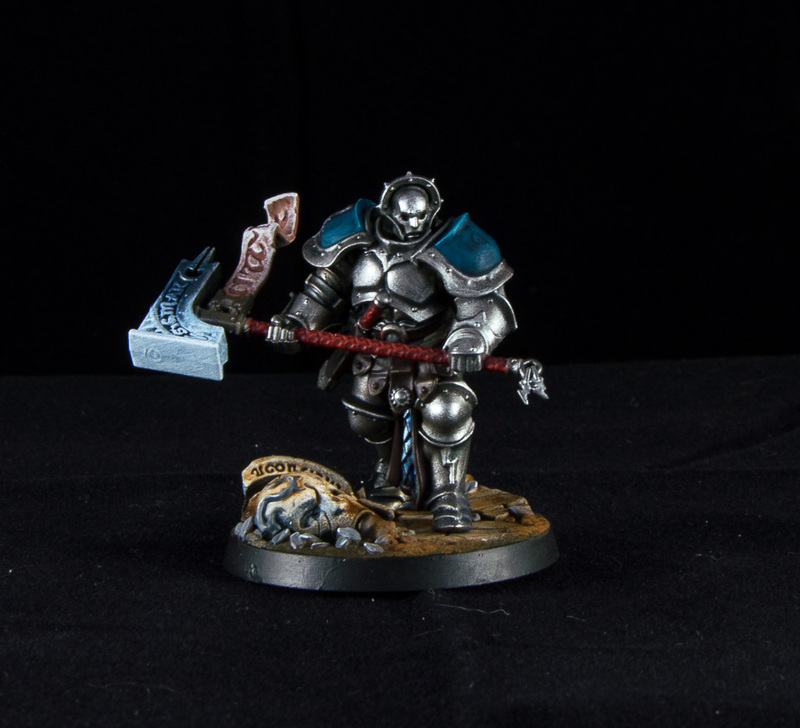 More Input: Starting Shadespire (Stormcast Deck)!